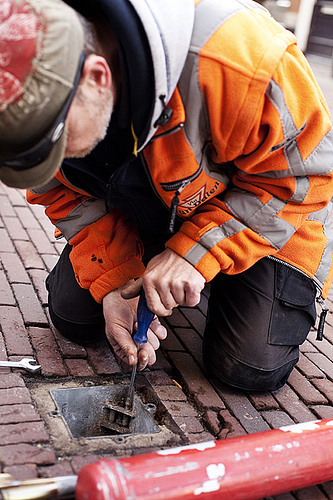 When we built FixMyStreet in 2006, our primary focus was to create a tool for citizens. We wanted to make it easy, quick, and effective to report street problems, even if the user had no prior knowledge of where their reports should go. And while the tool obviously had to work for the councils who were receiving reports, it never crossed our minds to research, or try to key into, prevailing council strategies. But over the last few years, and to the benefit of both sides, council strategy has become strongly aligned with several of the qualities that FixMyStreet was founded on. 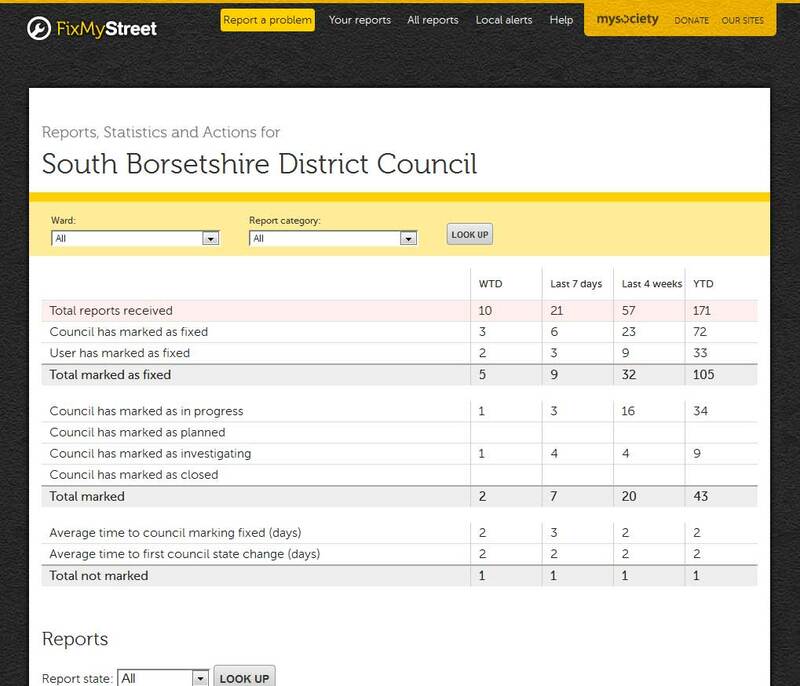 The development of our specialised software, FixMyStreet for Councils, cemented that further, based, as it is, on consultation with local authorities. If your current strategy focuses on any or all of the following points, then FixMyStreet is extremely well-positioned to help you. UK local authorities are fully aware of the channel shift theory by now: put reporting online, make it self-service, and see efficiency rise while costs fall. It sounds simple, but it hinges on one important factor – you have to get the reporting interface right. Otherwise, all those hassle-free online transactions turn into irate residents on the phone, seeking help. On first impressions, many assume that FixMyStreet is just a public platform for grumbling – so it can be quite a surprise to discover that it often has the opposite effect. By allowing everyone to see what the problems are in their own community, it provides a platform for engagement, debate – and, sometimes, solutions. FixMyStreet is a superb tool for councils who are looking for ways to encourage residents to take a stake in their own communities. Any council web team worth its salt will be anxious to maximise usability across the website. FixMyStreet was designed with the user at its heart: from minimising the number of clicks it takes to make a report, to making sure that every step is as easy and comprehensible as possible. Modern society is demanding transparency across a vast array of organisations, not least government. 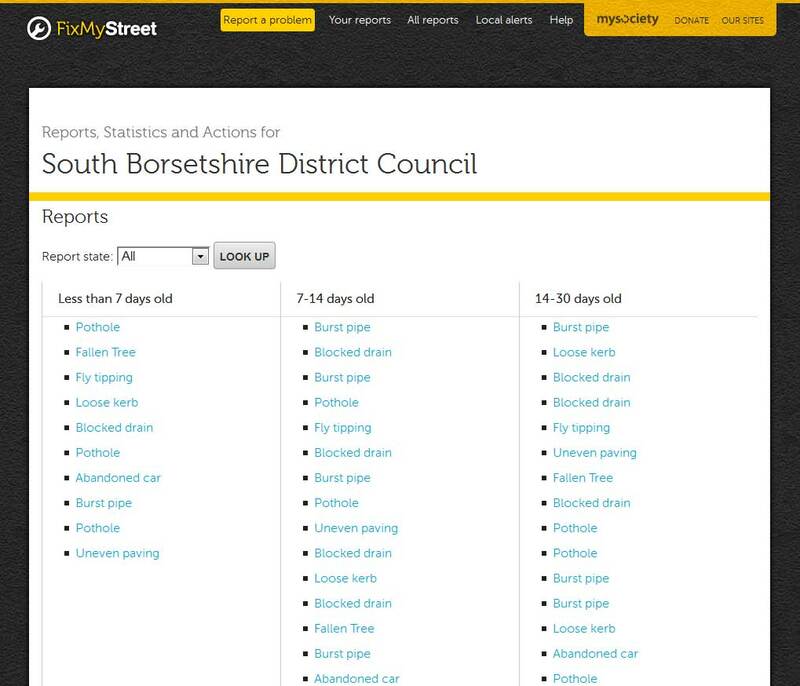 By putting a record of every report online, FixMyStreet helps you fulfil those demands. And there are side benefits, too. First, FixMyStreet brings previously ‘hidden’ work into the open, allowing your residents to understand the degree and quantity of work you do on their behalf. And second, having reports online allows citizens to see at a glance whether their problem has already been reported, thus cutting down on duplicates – and saving you time. FixMyStreet is efficient when used on a desktop; it also works very easily on mobile devices, meaning that your residents help you crowd-source information. You’re effectively multiplying your inspection capabilities by a factor of hundreds, and your residents become your ‘eyes and ears on the ground’, as one of our client councils has said. Drop us a line now and we’ll get right back to you. We were recently invited to the LGA annual conference to exhibit FixMyStreet for Councils in Nesta’s Innovation Zone along with a lot of interesting social enterprises. At one memorable point, we each had the opportunity to pitch to the surrounding crowds. Having to drum up interest from people passing through made me feel somewhat like a travelling salesman, but I channelled my semi-theatrical background and that seemed to do the trick. As one councillor said to me incredulously: “Why doesn’t every council use this?” If you’d like to see what inspired such a comment, here’s my presentation (click through and scroll to the bottom of the page if you’d like to see the accompanying notes, too). We’ll be putting all our presentations, of every kind, on our Slideshare account from now on, so do subscribe if that’s of interest. Just click the orange ‘follow’ button on that page. Need FixMyStreet for your own council? Find out more here. It’s known for being one of the cleanest and most efficient cities on earth – but even Zürich suffers from potholes and graffiti. Zürich’s residents can now report infrastructure faults via their city council’s own dedicated installation of the FixMyStreet platform: Züri wie neu, which translates as ‘Zürich: Good As New’. 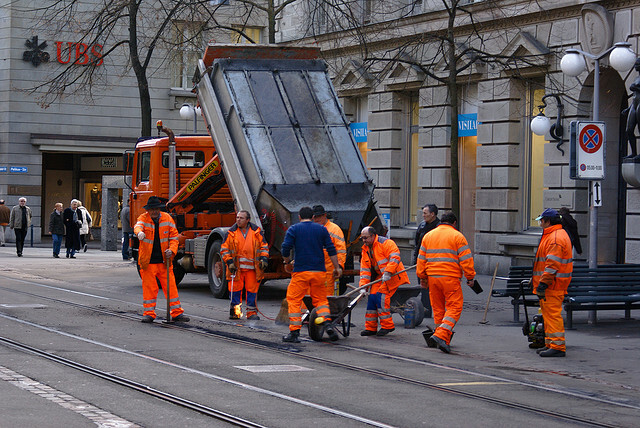 For Zürich, it’s a new online channel for its infrastructure reports. Meanwhile, for mySociety it’s further proof that our platform can be adapted to any jurisdiction, language, and geography. We spoke to GIS Project Managers Tobias Brunner and André Graf about the process of installation, and whether or not the launch has been a success. 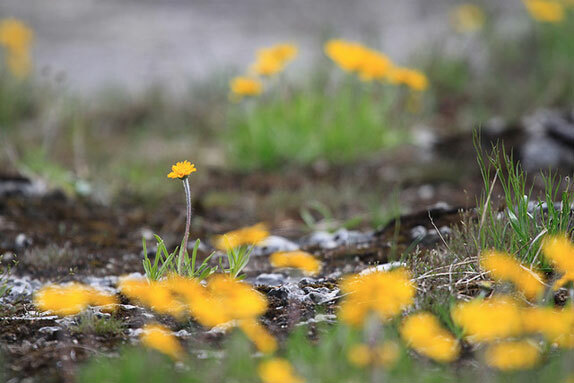 “The project came about as the result of a government competition,” explains Tobias. “Through the eZürich vision, they solicited ideas that would help the city use ICT (Information and Communications Technology). But Switzerland has a reputation throughout the world for being spotless and efficient – and could Zürich, which ranks second in the world for high standard of living, really have any problems to report? There was definitely a fear that the service would barely be used. Only after launch would they see whether that fear was justified. Prior to this, Zürich didn’t have an online channel for infrastructure fault reporting: citizens had to use phone, email, or even fax if they wanted to tell the council about a problem in their community. So it was high time for modernisation. eZürich’s winning entry had mentioned the UK platform FixMyStreet, and so Zürich was well aware of mySociety’s custom software. They assessed other systems. But a number of factors led to the decision to go with FixMyStreet, rather than either buying a different option, or building a system themselves. To complicate matters, each department had its own incident management system – and in fact they still do. In order to get the pilot scheme up and running, Züri wie neu has had to be a standalone system, although eventually the dots will be connected and a unified system will be introduced. Anyone familiar with the original version of FixMyStreet will immediately notice one big difference with Züri wie neu – the maps. They’re satellite, unlike the Ordnance Survey maps that our UK users know and love. “People are used to Google Maps,” says Tobias. “We have nice orthophotos [aerial photographs that are geometrically corrected to show uniform distances]. This way, people can view more details, like trees or landmarks, and therefore will hopefully be able to better locate their problem”. There are less obvious differences, too. 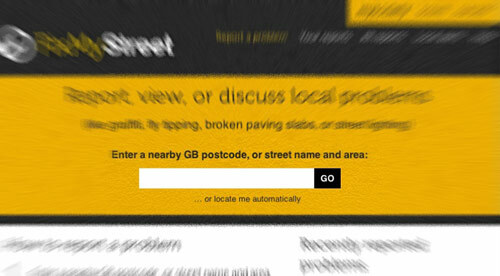 For example, users of the original UK FixMyStreet are required to confirm their reports by clicking on an email link. In Zürich, not so. In fact, all reports are verified on the council side: “We didn’t want to let any reports slip by!” That’s admirable commitment. With mySociety in one country, and our clients in another, there was always going to be a degree of collaboration from a distance. For mySociety, this isn’t so unusual: many of us work from home habitually, and we have all the tools in place for co-coding, shared documentation, and instant communication. The process was not entirely without challenges: for example, we needed to build the accompanying app from scratch, which of course added to development time. And Tobias reckons that another face to face meeting would have been useful, especially as regards the app. Züri wie neu attracted a real blaze of publicity – clearly, this was an idea whose time had come in Switzerland. “The media went crazy. Every newspaper in Zürich reported the story. Even European television picked it up. Even now, a month after the launch, the media is still covering us”. Of course, the outcomes are the important part. We saw at the beginning that Zürich’s main aim was to increase transparency and modernise communication channels. 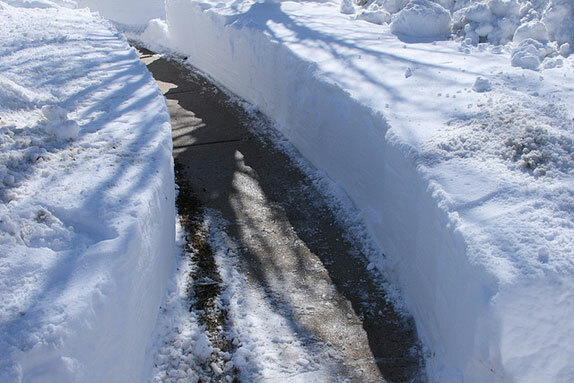 We are sure that all councils are also keen to cut costs and increase efficiency. In the first month after launch, there were 600-900 reports. Zürich’s population is approximately 400,000: comparable to Reading in the UK, and somewhere between Leicester and Bristol. Zürich’s report rate is way in excess of what we see in any of those cities – but it’s early days for this project, and we expect the number of reports to settle down somewhat as the launch publicity subsides. It’s interesting to hear that Tobias and André reckon the users of the website are ‘new customers’ – people who never would have been in touch before. You can argue whether that creates extra work, or increases efficiency as more faults are reported that would never previously have been fixed. Meanwhile, feedback from Zürich residents has been overwhelmingly positive. Zürich council themselves are pleased: their next step is to look into adapting the FixMyStreet system so that it can be used by internal departments too, and, significantly, they are in discussion with other councils across Switzerland. Would André and Tobias recommend FixMyStreet to other councils, including those abroad? “mySociety were great. They were always very kind, and they brought a large amount of input from their previous experience. We’d definitely recommend them. “Working in different countries turned out not to be a problem – so long as someone in your organisation speaks English. But I would definitely say that meetings are vital. We’re not going to guarantee a crash course in comics and beer, but we can promise a street fault reporting system that will suit your needs. Get in touch to find out more. 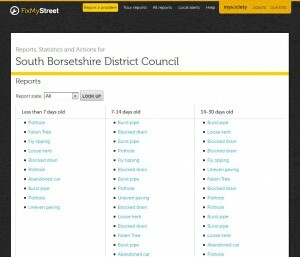 The London Borough of Barnet replaced online street issue reporting forms with FixMyStreet software on their website in January 2010. 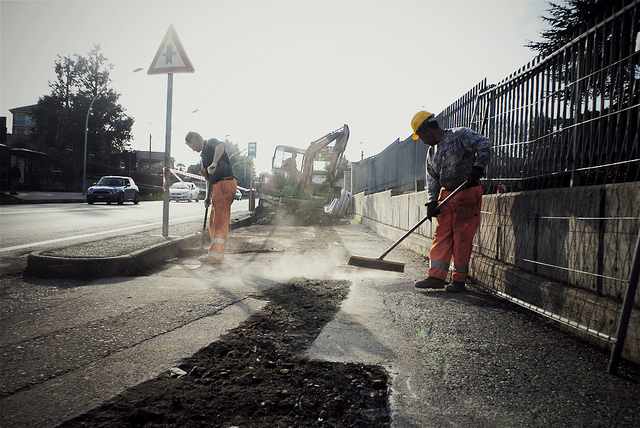 Our experience with Barnet and several other councils has led to creation of FixMyStreet for Councils, a tailored service designed for local authority websites. We interviewed Chris Palmer, the council’s Assistant Director of Communications, who is responsible for online engagement, about Barnet’s experiences with FixMyStreet, and how it fits with the council’s web strategy. Barnet is a forward-looking council when it comes to using the web to engage people and help them interact with the council. What have been your key goals in this area? Our general aim is to get the council out of people’s way, to give people direct access to services. We don’t want residents to feel like they have to go through a complex council process in order to get anything done – so removing process from the equation as much as removing council from the equation is our goal with online. One of our challenges, as with many other councils, is that technology moves so quickly. Nowadays people expect great, highly-usable web tools as they get this in other sectors – so we need to look at how we continually refresh that relationship with our residents. What were you looking to achieve with FixMyStreet – and have you been successful? Rather than putting you through a “customer service process”, FixMyStreet gives you a clear idea of what’s happening, allows you to contact your council from standing in the middle of the street with your phone, and gets you a quick response. It has worked incredibly well. We launched at a time when a lot of people were worried about the state of the roads. So FixMyStreet was an excellent tool to allow people to feel like they were taking part, rather than just grumbling that there’s a pothole and the council hasn’t filled it. So it’s making people slightly more active citizens rather than passive grumblers. And that’s very important and quite empowering for people. Why did you choose to have a map-based solution, as opposed to forms which are the more traditional approach to reporting? 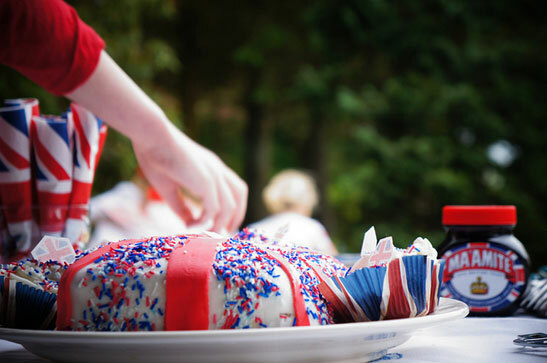 For us, there’s two things, and one goes back to how we’ve worked with mySociety. FixMyStreet’s ease and mobility was a real seller for us. The fact that somebody contacts their council while standing in the street is very important to us. Residents appreciate that it’s the council who comes and fills the pothole, but they don’t necessarily want to know the details of the process. So the more we can strip out that process and get them straight to the issue, the better. What was the impact of FixMyStreet on the council’s engagement with residents? I suspect that if you look at the figures, there hasn’t been a huge increase, because most of our online contact is about where schools are, standard things you’d expect. But what it has done is make the council far more open and transparent and more responsive. Generally, people’s perception of the council is that stuff goes in and you never hear again. At the same time the council never hears back either once we’ve fixed the problem. 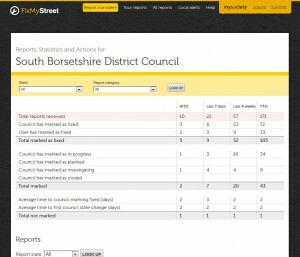 FixMyStreet enables the reporter to go back, and to say ‘that’s sorted; we’re done’. We get Facebook comments, we get tweets saying ‘I reported flytipping to Barnet Council – that mattress was gone the following day’. And that kind of stuff is gratifying. This sort of transparency is relatively new in local government. What was your experience with FixMyStreet? We welcome transparency and here it has been entirely positive. I haven’t seen any particular grumbling around FixMyStreet itself. Grumbles tend to come through other media. FixMyStreet appears to be a medium for reporting rather than complaining, and that’s what we’ve found such a positive experience about it. Before now, we’ve tended to regard almost any contact as a complaint – say somebody’s rung the council up and reported that a lightbulb in a streetlight isn’t working. In fact, it’s an entirely positive relationship with a resident. A resident has seen something in the street isn’t working, they inform the council and we’ll go and fix it. So I think it rather changes our relationship with residents – it makes them our eyes and ears on the ground . More recently Barnet took the next step and created a direct link with the council’s CRM and FixMyStreet. 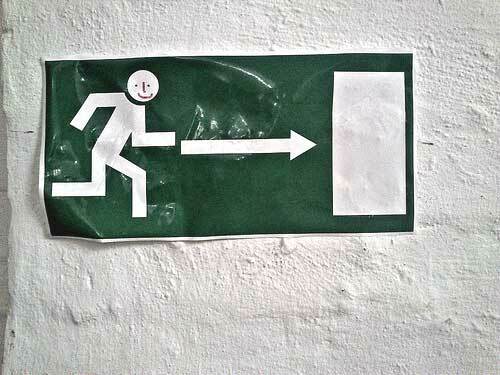 What was the idea behind that? The council has invested in an infrastructure – we’re interested in seeing if we can move to a service where not only does somebody report something, but we can tell them the processes of being fixed. So in an ideal world we could tell somebody “Thank you for reporting this” – “It’ll be fixed tomorrow” – “It’s now been fixed”. We’re still some way off that, but it’s that move to a greater transparency. I’m a great believer that in communications, just telling somebody what’s going to happen next, is very important to building a good relationship with the resident. How was mySociety as a partner to work with? Challenging, but in a good way. The strength of mySociety is that you bring new ideas and approaches. mySociety did a review of some of the old screens we had in customer services, where the information we were presenting on screens to the people answering the phones was over complex, and mySociety helped us to strip out that complexity. Another lesson from the work we’ve done with mySociety has been about the importance of making the information that we and our public sector partners hold more easily available to the community. It’s a very different relationship from most of our suppliers, in that there isn’t a product in a box. Because of the nature of the things we’ve done, it’s been quite testing – you’ve pushed us in one way, we’ve pushed you another way – we’ve worked together – which is both the opportunity and the pain of innovation. That’s a good thing in terms of the people we’ve worked with in mySociety – we’ve had an incredibly positive relationship. If you’d like to find out more about FixMyStreet for Councils, drop us a line or read more. Image credits: Fixing up the Network by Fabio; Paaltje is kapot by Pim Geerts, both used with thanks under the Creative Commons Licence.